Robin Krienke is the MOVE Wellness Studios co-founder and business manager. 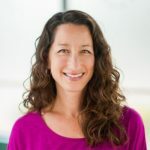 She brings vast experience as business manager for The Movement Center, as well as financial management for attorneys, financial strategists and organic farmers. She has an extensive background in education, and a master’s degree from Lesley University in Boston. When not working out or working the books at MOVE Wellness Studios, she keeps the costume department of a local dance company humming, and keeps up with three daughters who love ballet, tap, and the occasional half marathon.